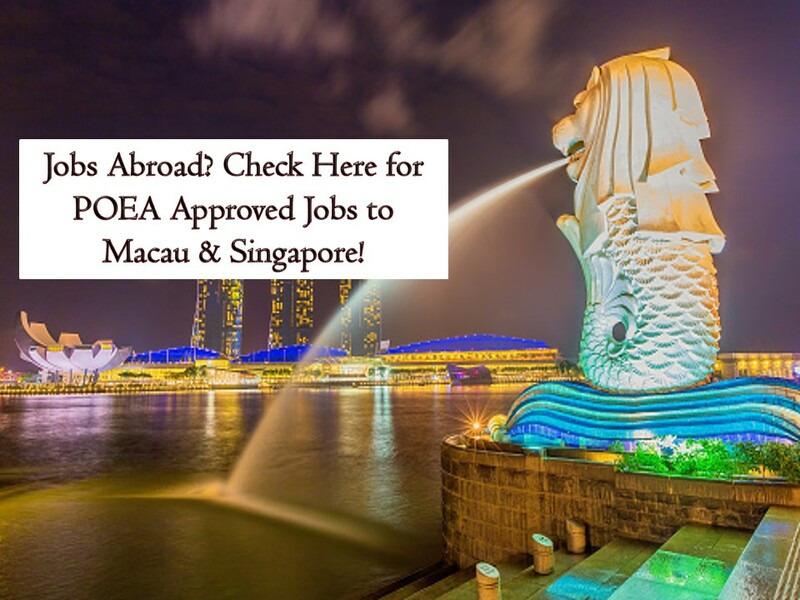 THOUGHTSKOTO Thoughtskoto : POEA Approved Jobs to Macau and Singapore! Macau and Singapore have a lot of job orders for Filipinos who want to work in their country. Macau is in need of room attendant, chef, domestic helpers, therapist, florist among others. On the other hand, Singapore is hiring for domestic helpers, tig welder, pipe fitter, instrument technicians, nursing aide and many more! Scroll down for the complete list of jobs orders from Philippine Overseas Employment Administration (POEA) to Singapore and Macau as of April 2019. This article is filed under Macau jobs, Singapore jobs abroad, IT jobs, Filipina Maids, Filipino workers, Hiring Filipino workers, job site, employment opportunities.